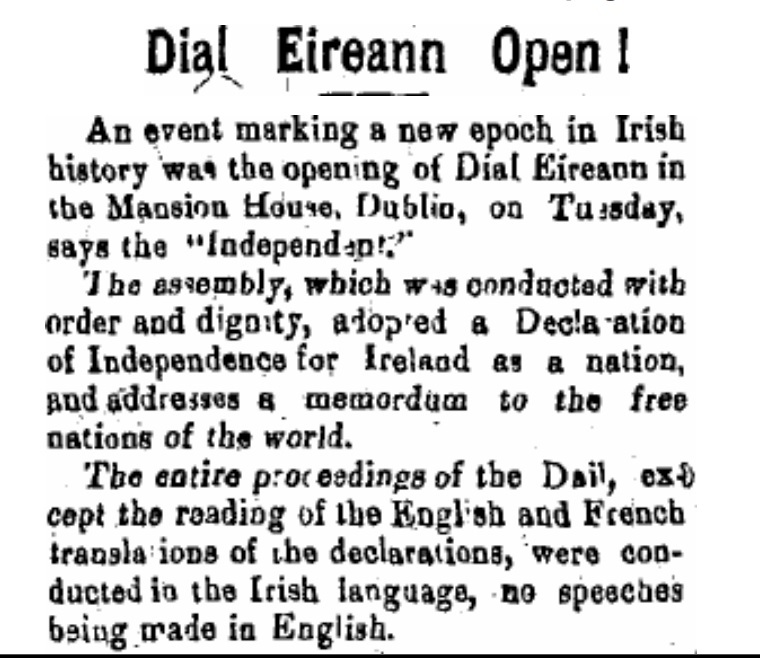 This week, 100 years ago Dáil Eireann met for the first time and claimed the right of Ireland to self-govern. 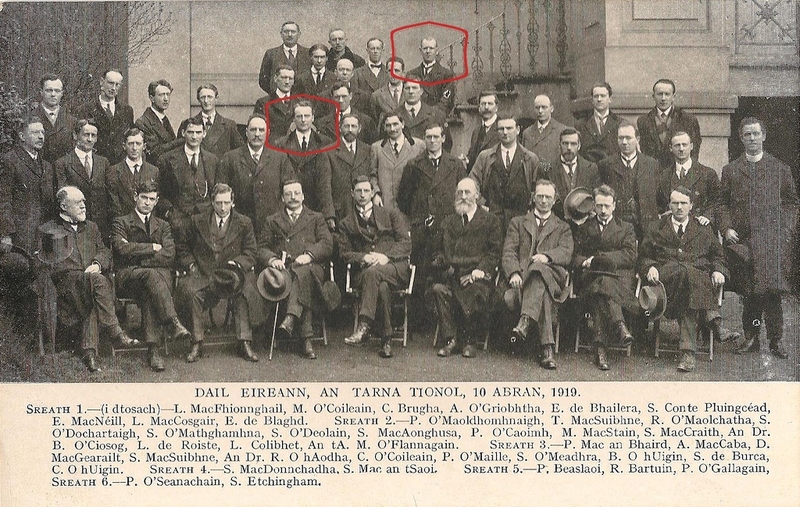 Two Leitrim men John Nicholas Dolan from Manorhamilton and Peter Paul Galligan from Carrigallen formed part of that first Dáil, but they did not attend the first public meeting as they were incarcerated. Both men were elected as Sinn Féin MPs in 1918 and had pledged to abstain from Westminster and establish a constituent assembly in Ireland. On Tuesday, 21 January 1919 the Dáil held its first public sitting in the Round Room of the Mansion House. Born on October 16 1884 in Manorhamilton, James Nicholas Dolan’s lengthy involvement with Sinn Féin began during the 1908 Leitrim North by-election campaign of his eldest brother, Charles J. Dolan, the first Sinn Féin candidate to contest a parliamentary seat. 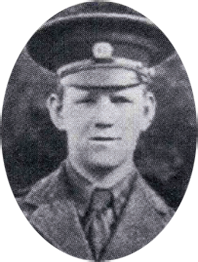 A prominent Sinn Féin activist, and probably a member of the Irish Republican Brotherhood (IRB), he was interned in Frongoch camp after the 1916 Rising. He was again imprisoned at the time of the December 1918 general election. As a Sinn Féin candidate in Leitrim he polled 17,711 votes to his nationalist opponent's 3,096. His majority was the largest in the country for a contested seat, and one of the largest percentage majorities ever in a UK parliamentary election. 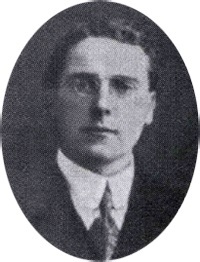 Mr Dolan remained in politics until 1937. The pro-treaty man joined Cumann na nGaedheal in 1922 and was re-elected under that party in 1923. He lost an election in 1932, but returned to the Dáil in 1933 until 1937 when he lost his seat as an independent. He served as a Parliamentary Secretary to the President and Parliamentary Secretary to the Minister of Industry and Commerce. Dolan married Loretto O'Reilly of Ardagh, Co Longford, he died in 1955 and is buried in Glasnevin Cemetery. Peter Paul Galligan joined the (IRB) in 1910 and the Irish Volunteers in 1913. Born in Carrigallen, Galligan attended school at St. Patrick's in Cavan. During the Easter Rising, Galligan cycled from Dublin to Wexford carrying James Connolly's battle orders to ensure that the Volunteers in the area rose to support those in Dublin. He was imprisoned in the harshest of conditions in Dartmoor prison - forbidden to speak to other prisoners and reduced at times to a diet of bread and water. He was elected unopposed as the Sinn Féin MP for Cavan West in the 1918 election while in prison. Galligan took part in the War of Independence on the ground in Cavan. His Dublin Castle file referred to him as “one of the most dangerous men in the Rebel Movement”. He supported the Anglo-Irish Treaty but retired from politics in 1922. He died in 1966. After closely following the run up to the 1918 elections and the success of John Dolan as Sinn Féin MP, the Leitrim Observer ran a small article on page 3 of it's issue on January 25, 1919 announcing the new Dáil to Leitrim readers. “ The assembly which was conducted with order and dignity, adopted a Declaration of Independence for Ireland as a nation and addresses a memordum to the free nations of the world.